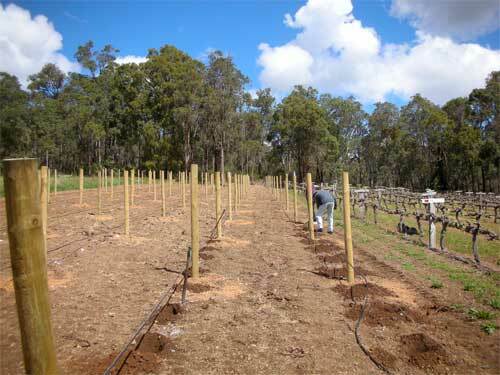 The first vines in the Perth Hills were planted at Darlington Estate near Mundaring in the 1880's. However, it wasn't until after Di and Alan Bray, together with university colleagues, Brian Murphy, Peter Fimmel and John Finlay-Jones, planted Piesse Brook in 1974, that the winemaking potential of this traditional orchard area was recognized. The 1980s saw a flurry of boutique wineries established. 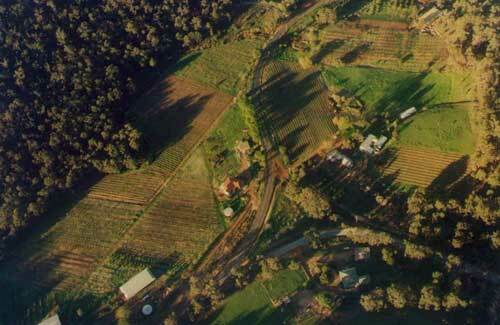 In April 1999, the Perth Hills was granted official GI status and gazetted as an official winegrowing region. Today the region boasts more than 30 small producers who in 2008 harvested around 2,000 tonnes of fruit. Aldersyde Estate is the oldest continually operating winery in the Perth Hills. In 1989, Di and Ray increased the size of the vineyard and business, planting around 3 more hectares of cabernet sauvignon, merlot, shiraz and chardonnay. In 2008, Lara planted another acre of shiraz on the upper hillside from cuttings taken from the original Cape Mentelle estate block. Our soils comprise underlying granitic quartz clays at depths from half a metre to 3 metres. The top vineyard and the top half of the bottom vineyard are planted on hilltop slopes and comprise gravels with medium to light loam content, whereas the lower half of the bottom vineyard is in a gently sloping valley and consists of mostly loams and alluvial soils. 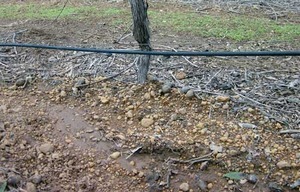 Because of the underlying clay subsoil, soils tend to retain good moisture levels throughout the growing season, although drip irrigation is applied if necessary. MJT Kalamunda in the Bickley locality is 23.1°C, RH 45%, rainfall 900-1200mm. The climate is typically Mediterranean with cool, wet winters and hot, dry summers, mediated by cooling afternoon sea breezes and night temperatures 2-3 degrees cooler than Perth or the Swan Valley. Gladstones likens the climate to that of the Douro Valley in Portugal.